Here is my favorite pin of this week. I found this image really visually appealing. I’ve never seen a pattern on a front door such as this. This eclectic look may not be for everyone, but you could certainly try a more toned down approach. 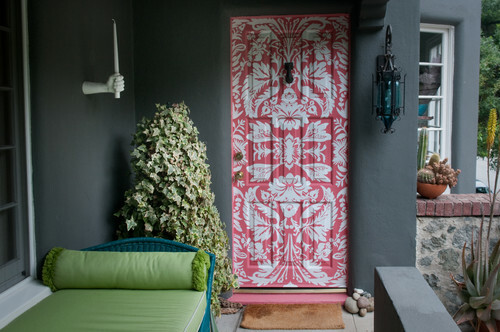 If your exterior is falling flat, a unique door may be just the trick to adding some curb appeal. This entry was posted in Uncategorized and tagged Bold, Color, design, inspiration, interior design, mix and match, Pin of the Week, Trending. Bookmark the permalink.